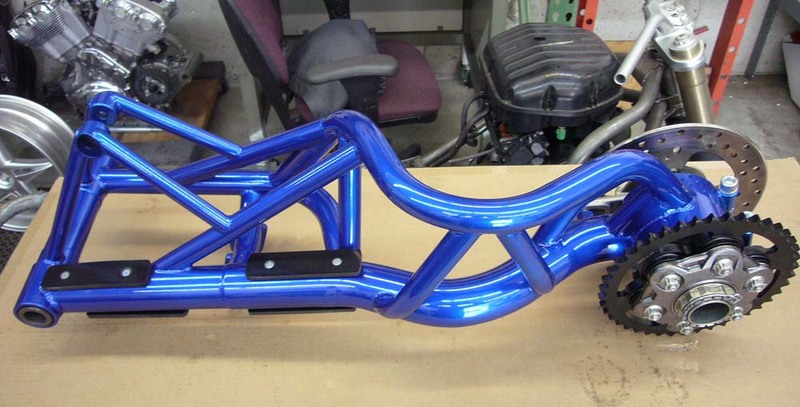 This is the first kit we built to use the Ducati Diavel size 17×8 inch wheel and 240 tire. 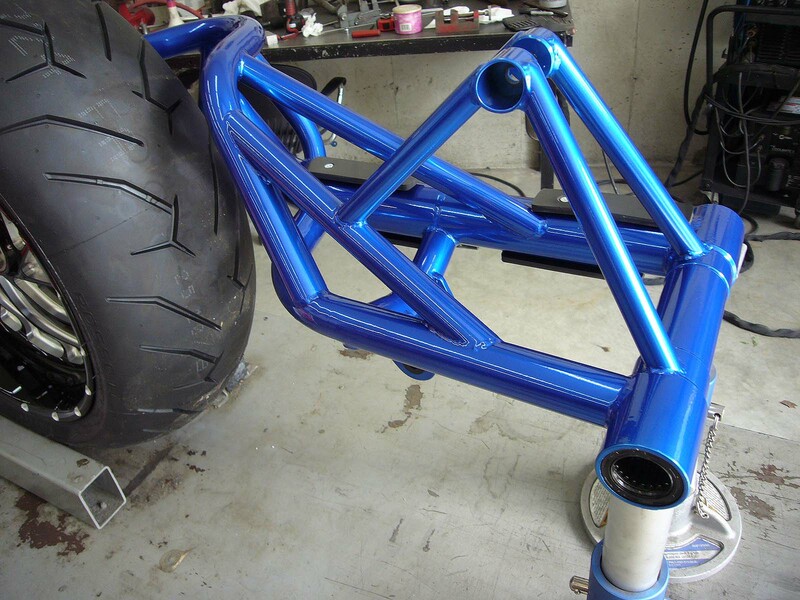 All the 240 kits that we’ve done in the past have been built around the 18×8.5 inch rear wheel. 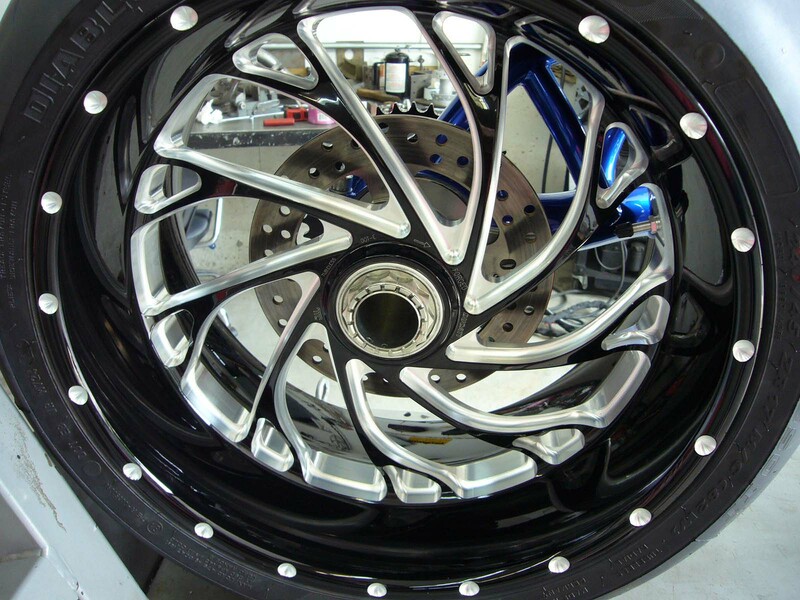 This is the standard “240″ wheel size which came from the Custom Cruiser industry. 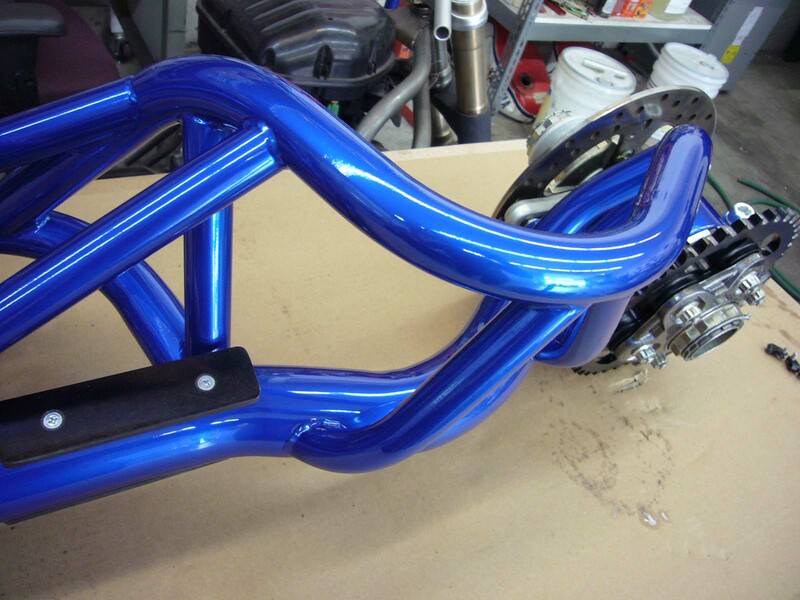 It’s a great kit when coupled to the performance oriented 240/40-18 tires which were produced to satisfy the need of the Custom Sportbike Market. 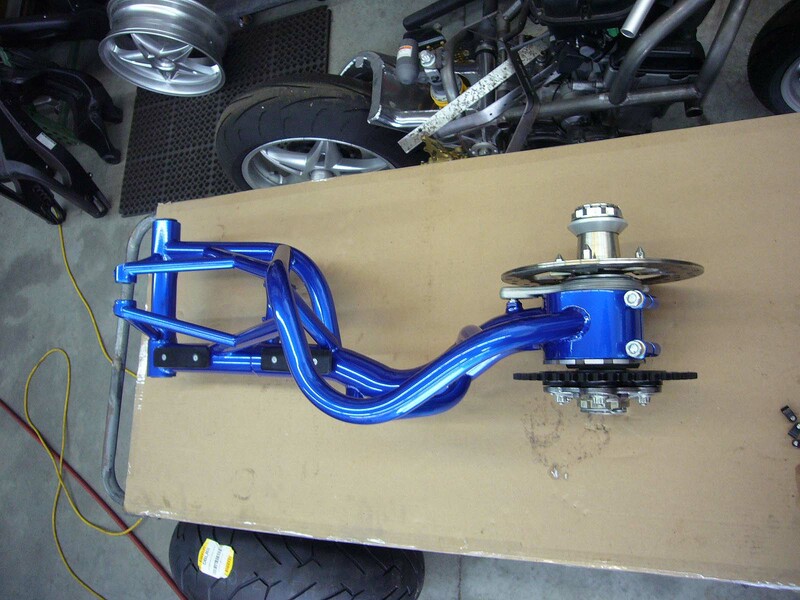 This kit also necessitated the use of our full billet rear drive assembly. 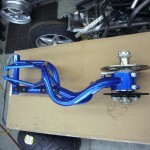 This is an expensive setup considering the cost of the billet drive and aftermarket rear wheel. 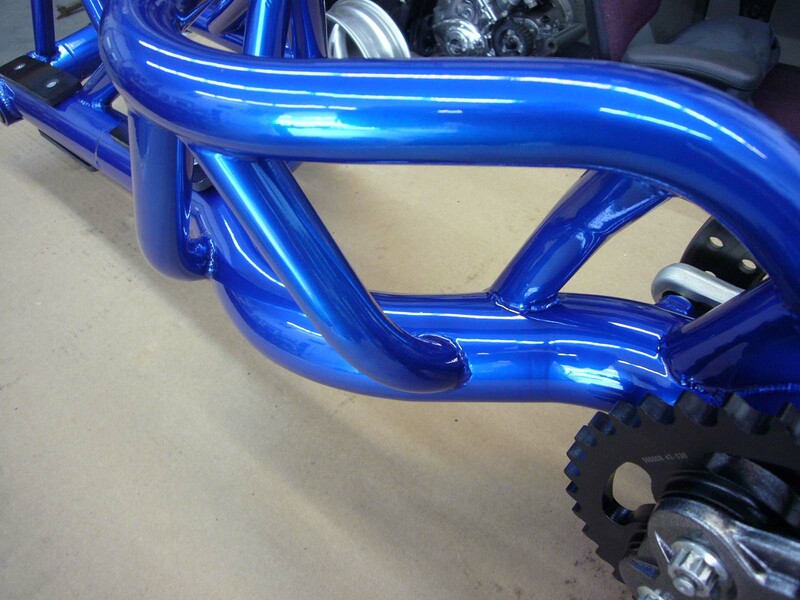 These days many factory bikes come equipped with 240 rear tires as original equipment. When Ducati introduced the Diavel power cruiser, it was supplied with a 17×8″ rear wheel and new size 240/40-17 Pirelli Diablo Rosso tire. 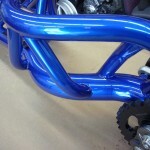 Check out the Gallery pics. Contact us to order. 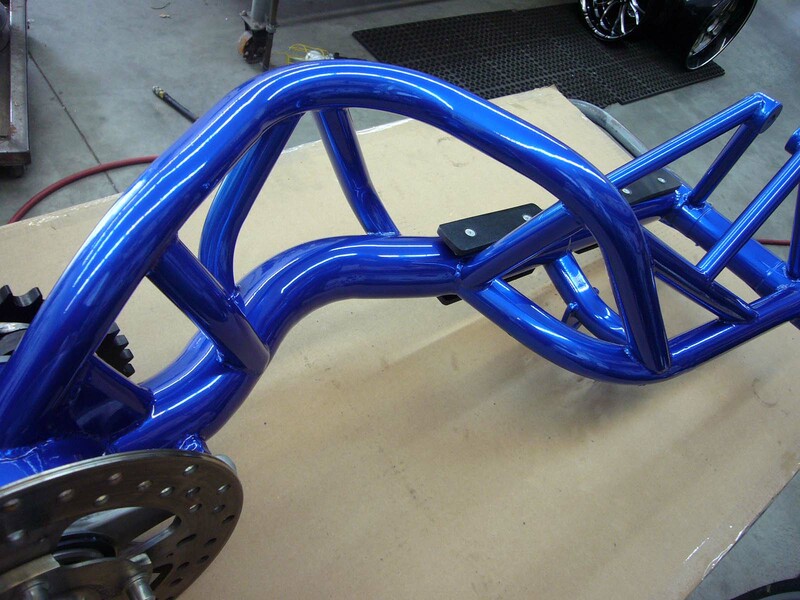 This CBR1000 Swingarm kit runs the Ducati Rear Drive assembly and Diavel 240/17 wheel/tire combination. 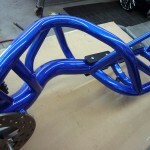 CBR Single Sided Arm finished in Peeka Blue over Super Chrome powder coat. For this kit. 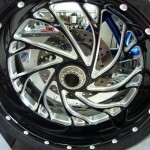 We used the factory option Diavel wheels. 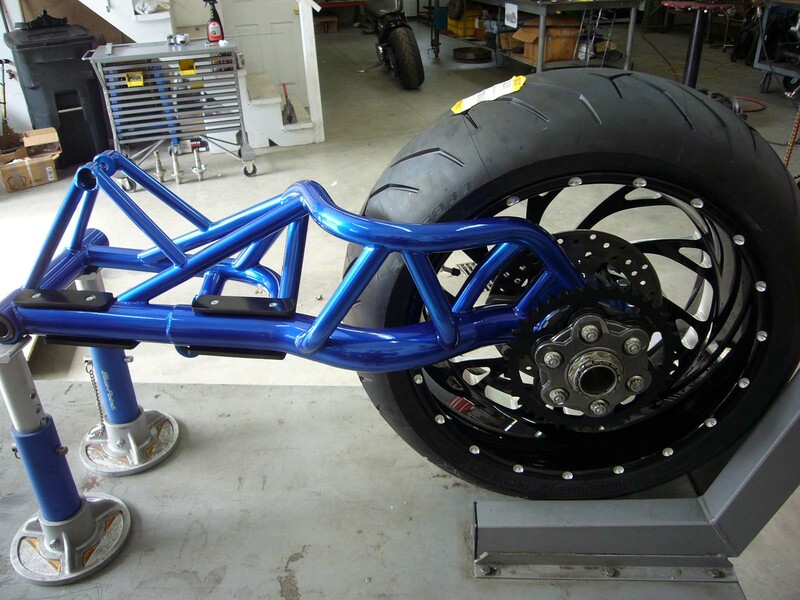 We adapted the front wheel to fit the cbr for a complete matched look. 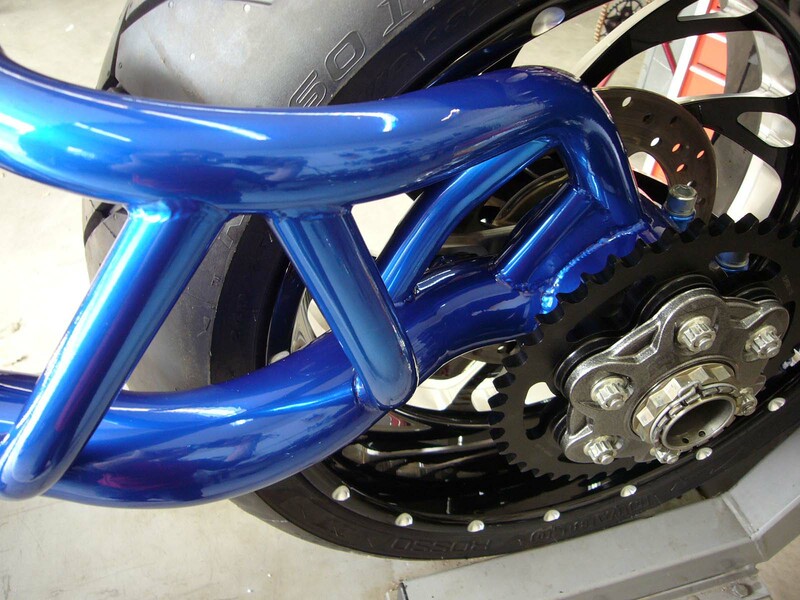 Ducati Diavel rear wheel mounted to CBR1000 single sided swingarm. 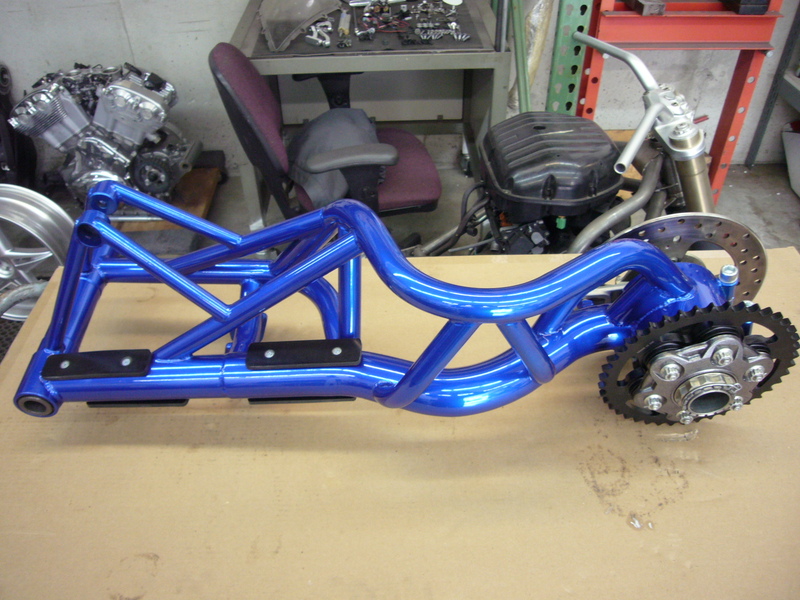 We used the aftermarket one piece steel rear sprocket from Superlite Sprockets. 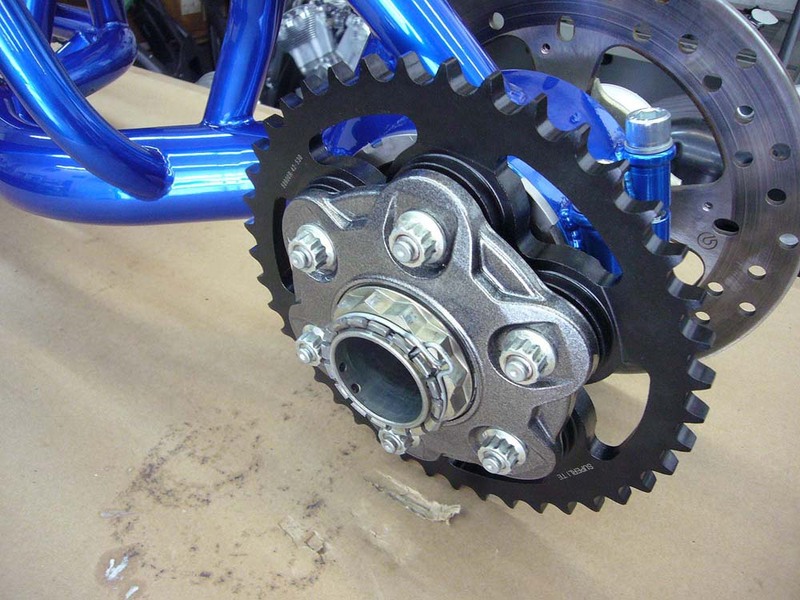 It comes in 530 chain pitch which works with the available offset front sprockets.